Since unveiling the Nike Air Max 720, sneakerheads have been obsessed with its clean, futuristic design. Making this shoe so unique is its air max unit which wraps all the way around the sneaker. The design allows for an optimal amount of comfort while the upper's tooling creates a unique look that is sure to turn heads as you walk by. As is usually the case with new sneakers, these have been getting a ton of new colorways which have been slowly making their way to the market over the last few weeks. One of the latest colorways is actually coming this weekend and will feature a familiar name. When it comes to Nike, just like the triple-white and triple-black colorways, it seems as though "Pure Platinum" is a staple for any new shoe. Well, if you love "Pure Platinum" shoes you are in luck as the colorway is coming to the Nike Air Max 720. 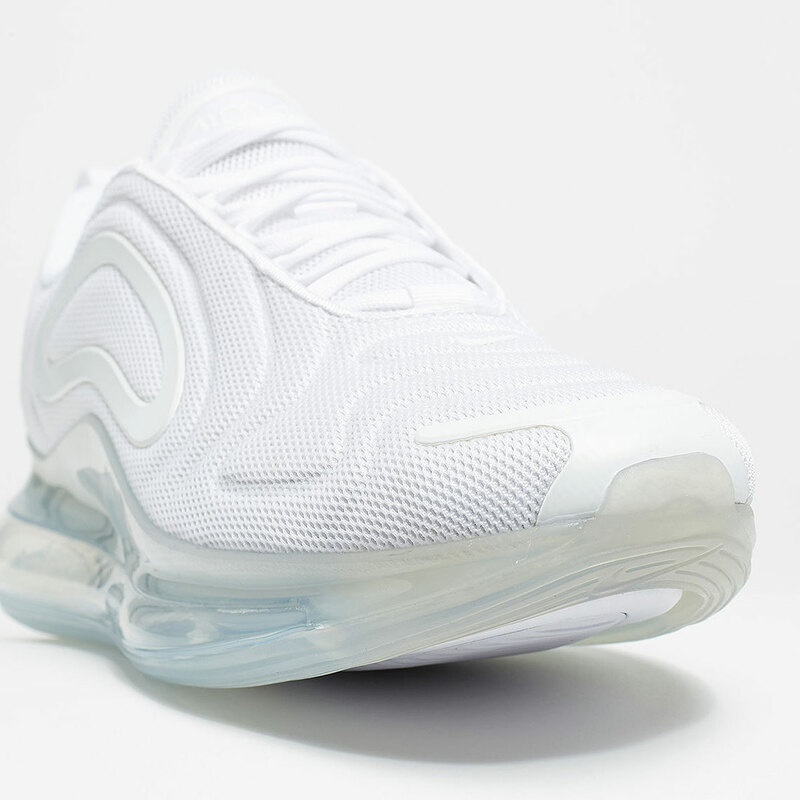 With a translucent air max unit, the upper is made up of white and silver mesh that looks destined to be a hit for the Spring and Summer months. If you're looking to cop, these will be released on Saturday, March 30th for $180 USD at Nike Sportswear retailers, according to Sneaker News.